A breakaway on the Col de la Gineste on January, 27, 2013. It's the first race of the road season in Europe: the GP la Marseillaise. With one television camera focused on the breakaway, another TV camera shoots the scenery along the Mediterranean coast which includes the castle at Cassis. It's a new season, a new start, but none of us has forgotten that this is a sport seeking to restore credibility following years of doping scandals. 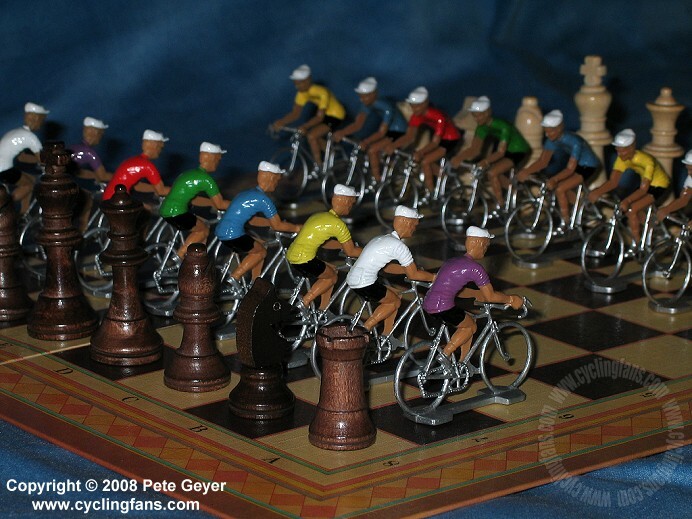 It is often said that cycling is like a chess game on wheels. But years of battles between top race organizer Amaury Sport Organization (A.S.O.) and cycling's International Cycling Union (UCI) have also clearly demonstrated that the riders themselves are mere pawns in the larger picture. A.S.O. and the UCI are talking again, to shape the future of pro cycling, but as usual the riders themselves have no real representation at the negotiating table.